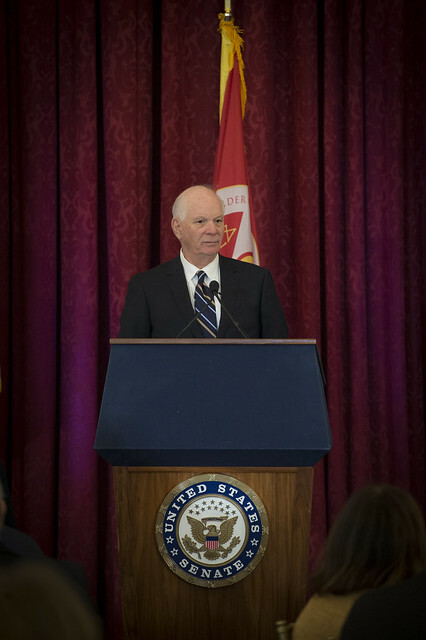 WASHINGTON, D.C. – Leaders in the United States Congress for Religious Freedom stressed the need for the U.S. government to take a more vigorously active role in protecting endangered Christians in the Holy Lands and the Middle East. 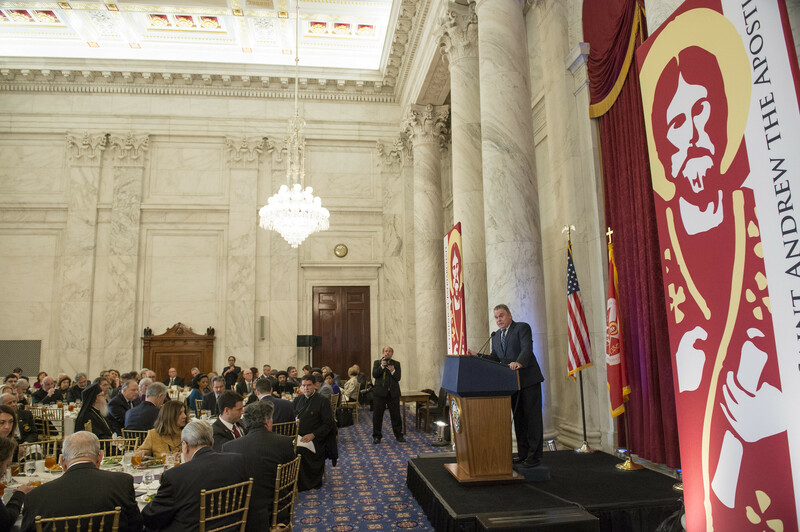 These Senators and Members of Congress spoke Tuesday at the Third International Conference on Religious Freedom in the nation’s capital, sponsored by the Order of Saint Andrew the Apostle, Archons of the Ecumenical Patriarchate. The speakers were: The Chairman of the House Global Human Rights Subcommittee and Co-Chairman of the Helsinki Commission, Congressman Chris Smith, (R-NJ); The Co-Chair of the Congressional Caucus on Religious Minorities of the Middle East and representative of America’s largest Yazidi community, Congressman Jeff Fortenberry, (R-NE); Senate Foreign Relations Committee Ranking Member and former Chairman of the Helsinki Commission, Senator Ben Cardin, (D-MD); leading advocate for American pastor Andrew Brunson unjustly imprisoned in Turkey, Senator James Lankford, (R-OK); Co-Vice-Chair of the Congressional Religious Freedom Caucus and Archon, Congressman Gus Bilirakis, (R-FL); and Co-Chair of the Congressional Hellenic Caucus Congresswoman Carolyn Maloney, (D-NY); The sessions were held in the U.S. Senate Caucus Room and Capitol Visitor Center Auditorium. “More than ever before, vigorous U.S. leadership and diplomacy are needed to address religious freedom violations in the region (Middle East and Holy Lands) and globally,” Rep. Smith said. Smith recommended a timely designation of a “country of particular concern” as well as designation of an “entity of concern,” such as a terrorist group. He also urged the meting out of sanctions on designated countries and holding not just countries but also individuals accountable. Rep. Maloney emphasized that religious persecution “is happening all over the world,” adding that there is a need to create a system to accurately track everything happening to Christian minorities and other religions. “We need to put more meat in legislation,” she added, such as no aid to Egypt unless they let Christians rebuild their churches. Maloney has advocated for reform in Turkey such as the reopening of Halki – the Greek Orthodox Christian theological school the Turkish government closed in 1971. “Look at countries that respect minorities, religion and women – they don’t have terrorism,” Maloney added. He said the United States must “stand up” to our so-called allies, recommending this country appoint an ambassador-at-large for international religion freedom. Rep. Fortenberry said that attacks on Christians are not only a loss of life, but are a disabling factor in the Middle East. The senator pledged his commitment to protect Christian minorities in the Middle East and elsewhere. “You have my word,” he said. Sen. Lankford urged that we speak out clearly for those who are unjustly attacked. The members of Congress were not the only participants to urge work on behalf of embattled Christians worldwide.